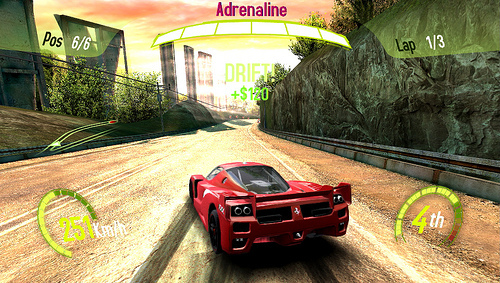 Personally, I think racing games shine on handheld devices. Think of it this way: you’re commuting home from work and sitting on a bus or a train. Though your progress may be pokey, your mind is completely focused on the blistering competition between your Bugatti Super Sport and everyone else on the track. For that short time, you completely forget about your commute. So, if your mind works like mine, you should definitely be excited for the arcade racing action of Asphalt: Injection. Asphalt: Injection boasts ten game modes spanning the tried-and-true Race mode to more signature game modes including Cop Chase and Beat ‘Em All (focused on take downs). This, along with 20 different leagues to conquer and multiplayer via local and Wifi, will keep handheld racing fans entertained for a long time. 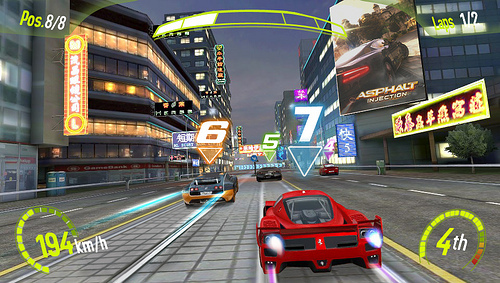 Gameloft has also leveraged the unique features of PS Vita to create an easily accessible and social game. 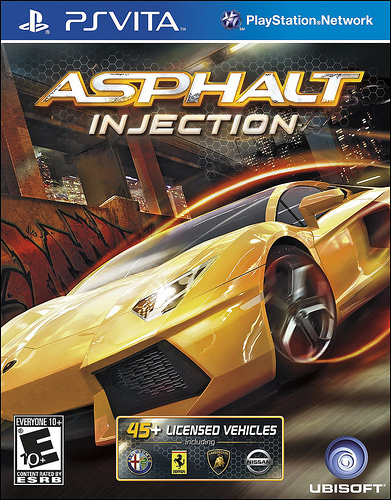 Asphalt: Injection has six different control schemes that take advantage of the dual analog sticks, the rear touch screen, or the accelerometer. This makes it simple for anyone to pick up and race against their friends (or computer-controlled opponents). 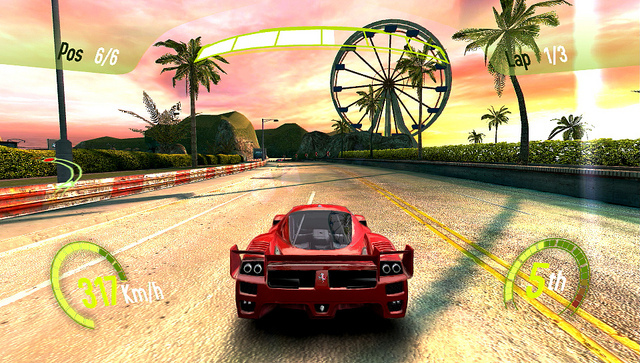 The game also harnesses PS Vita’s social features, enabling players to enter the Live Area screen where they can view what vehicles their friends have purchased, what tracks they have unlocked, their leaderboard rankings, and more. Racing fans can hit the track in Asphalt: Injection on February 14th. Looking forward to seeing you all on the course! Will you be picking Asphalt up? Or will you wait for a Gran Turismo PS Vita? let us know in the comments below!